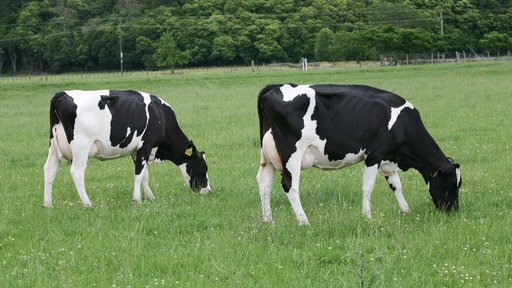 New Zealand Animal Evaluation Limited (NZAEL) manages animal evaluation for the dairy industry. LIC, with support from industry experts, initially developed and launched Breeding Worth (BW), Production Worth (PW) and Lactation Worth (LW) to farmers in 1996. When LIC became a farmer-owned co-operative in 2002, sire BW was passed to DairyNZ but LIC retained ownership of cow BW, PW and LW. 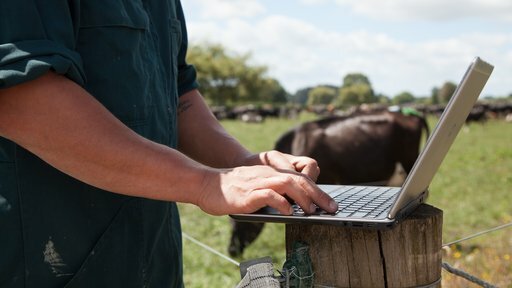 Following the development of the Dairy Industry Good Animal Database (DIGAD), Animal Evaluation for the industry was transitioned to NZAEL, a wholly owned subsidiary of DairyNZ. Economic Values (EVs) Economic values (EVs) are an estimate of the value of a trait to a NZ dairy farmer. Economic values are applied on a ‘profit per unit’ basis. For example, one additional kg of protein (in BW) creates $4.38 of additional profit for a dairy farmer. Calculations account for milk production, historical, current and forecast milk prices, income from culls, surplus cows and bobbies, the cost of generating replacements and general dairy farm expenses. EVs are recalculated every February to reflect changes in these values, ensuring BW, PW and LW remain relevant in an ever changing market environment. NZAEL is responsible for updating BW EVs and LIC, as the owner of PW and LW, is responsible for updating PW and LW EVs. The National Breeding Objective Economic Model is utilised across all indices to ensure the same revenue and costs are used. More detail on the economic model and the latest BW EVs are available on the DairyNZ website. 2019 PW & LW EVs update The EVs used to calculate Production Worth (PW) and Lactation Worth (LW) will be updated in the February Animal Evaluation run. In line with the update to Breeding Worth (BW) EVs, the greatest change is associated with fat and protein. 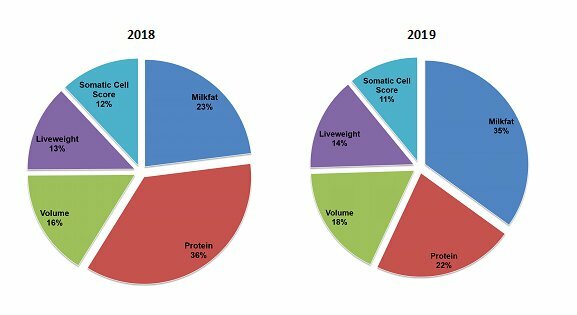 The main driver behind these changes is the increase in the value of fat relative to the value of protein seen on the world market and reflected in milk price. The updated EVs for PW and LW will differ from those used in the calculation of BW as they will move from using a 5-year rolling average of revenue and costs (which is used to estimate EVs for BW) to a 3-year rolling average. The 3-year rolling average provides a better representation of PW (an estimate of the lifetime profitability of a cow) as it more closely reflects what farmers are currently being paid. These same EVs will also be used for the calculation of LW as further analysis is required to understand what impact moving to current season only revenue and cost inputs will have on LW. * Economic Values for Lactation Worth traits will be the same as those used for Production Worth. The estimated movement in PW for the different breeds (based on all females born after 01/01/2008, current in a herd and included in the December AE run) are; Holstein-Friesian (-$27.60), Jersey ($36.40), KiwiCross (-$0.40,) and Ayrshire (-$12.40). Due to these changes, indices reported from 16 February 2019 onwards are not comparable with the indices reported before 16 February 2019. Reliability Every trait and economic index has an associated reliability figure which indicates the amount of information that has contributed to an evaluation and is measured on a scale of 0 to 100%. The more ancestry information, animal's own records (herd tests), and progeny information included, the more confidence you can have in the estimate of the evaluation. The higher the reliability the less likely it will change significantly with additional records. Breeding Worth (BW) Breeding Worth, or BW, is the industry’s national breeding objective, set by NZAEL. It estimates an animal’s ability to breed profitable and efficient replacements. NZAEL are responsible for sire BW and determining the traits included. If an update is made to sire BW, the same update is applied to cow BW. A cow’s BW is based on ancestry, individual and offspring records. A bull’s BW is based solely on ancestry information, until it has daughters with records. BW incorporates eight breeding value (BV) traits – traits that have been recognised as having the greatest impact on farmer profitability. It is comparable across all herds, ages and breeds. A cow with a BW of 110 indicates the cow is expected to breed daughters that are $55 more profitable, per year, per unit of feed, than daughters of a cow with a BW of 0. Ancestry (all female relatives related through ancestry such as sisters and nieces) – used when she’s a calf. Own performance (once she is milking). Performance of offspring (or direct descendants) – included once she has herd-tested daughters. An untested cow is evaluated solely on its ancestry records. As the number of lactations and herd tests increases, her own performance starts contributing to her BW estimate, although ancestry still plays a dominant role. The true indicator of a cows' ability to generate profitable replacements is through the performance of her progeny (daughters or daughters of sons). The diagram below shows the weightings for a cow’s BVs at different stages of her herd life. The increased weighting on progeny information reinforces the definition of BW. To calculate the BW of a cow, multiply its BVs by the EVs and add together. Cow BVs are shown on a MINDA Trait Evaluations report. 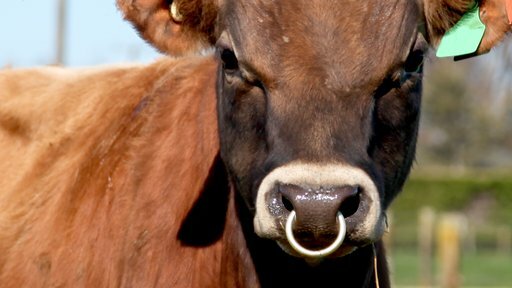 Find out more about Breeding Worth on the DairyNZ website. Production Worth (PW) Production Worth, or PW, is an estimate of a cow’s lifetime production ability. It helps farmers identify the top performers in their herd, to decide which cow’s to keep, cull and assist in determining a value for buying or selling. These are then combined into a PW using EVs. A cow with a PW of 98 indicates the cow is expected to generate $98 more profit in each of her lactations, than a cow with a PW of 0. The weighting placed on a cow’s own records is much greater than those for ancestry and offspring when calculating PVs (see the diagram below). This is because PVs/PW measure the lifetime producing ability of the cow herself, not what she is expected to pass on to offspring. It's important to note, herd test records collected on animals eight years or older don’t feed into the PW estimate. If a cow is still in the herd at this age she has already justified her presence in the herd. This herd test information does go into LW though. Calculate PW using the MINDA Trait Evaluations report and multiply each PV by its respective EV. PW is comparable across all herds, ages and breeds. It’s designed to provide an accurate and objective calculation to aid farmers’ decisions related to culling and buying dairy cows. More information about the 2018 PW update. Lactation Worth (LW) Lactation Worth, or LW, ranks how profitable and efficient a cow will be within the current season only. LW is based on a cow’s own herd test records as well as liveweight. A cow with an LW of 140 indicates the cow is expected to generate $140 more profit than a cow with an LW of 0. This is per unit of feed in the current season. EVs for LW are same as those used for PW. LW is comparable across all herds, ages and breeds. However, since LVs and LWs provide only a current season ranking of a cow’s profit and efficiency (rather than a lifetime ranking), their usefulness is limited for long- term decision-making. Where LW is of use is for assessing the performance of older cows in the herd. Once a cow reaches eight years of age, herd test information no longer contributes to the estimate of PW, but is still used in the estimate of LW. A drop in LW from one season to the next could indicate that a cow is potentially past her prime. 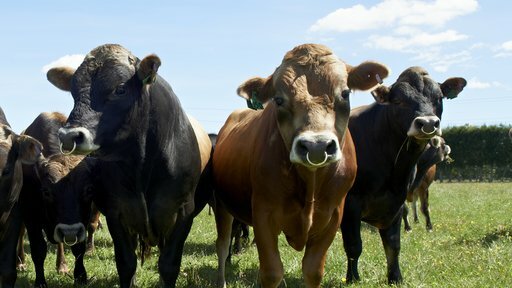 We maintain a close working relationship with NZAEL as part of our responsibility in the ownership of cow indices. A senior LIC representative is also a member on the NZAEL Standing Advisory Committee (SAC). When you herd test or record animal information in MINDA, you contribute to the NZAEL evaluation of those animals, their family, and their contemporary groups. This data – as well as feedback from Sire Proving Scheme farmers – also help us select bulls for Premier Sires and Alpha. For help with interpreting your cow indices, contact your LIC representative. Calculate your herd’s Breeding Worth (BW) to get a good indication of how well your animals performed this season. Make better and faster decisions about your animals and farming operations with MINDA, our herd management system.